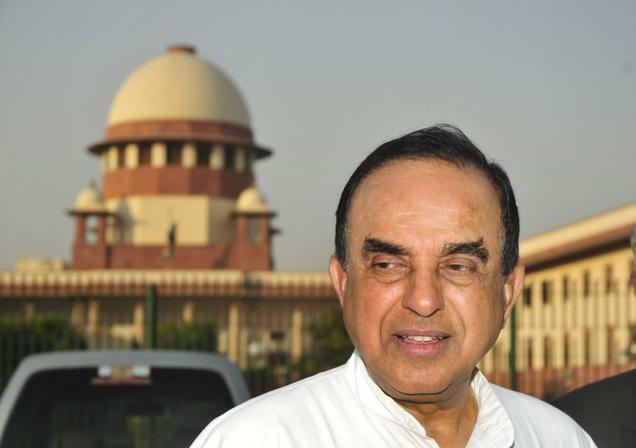 Janata Party president Subramanian Swamy has said that he will file a review petition in the of the Supreme Court ruling that dismissed his appeal seeking an investigation against Finance Minister P. Chidambaram in the 2G spectrum case. “I will seek a review of the judgement. I did not talk about conspiracy. I spoke about loss to the nation. It is a bad judgement. The Supreme Court never allowed me to complete my submissions,” Mr Swamy said outside the Supreme Court in New Delhi. He said that the verdict is relating to another issue and it does not take into consideration the important element of huge looses to the nation. Minister of State in the PMO V Narayanasamy defended Chidambaram and said that the party will face Mr. Swamy legally as well as politically if he tries to target the party. Mr. Narayanasamy predicted that the even the review petition from Mr. Swamy will be dismissed by the apex court in the country as it does not have any ground. A bench comprising justices G S Singhvi and K S Radhakrishnan said that no case can be made against Mr. Chidambaram while dismissing the petition that challenged earlier ruling by the special CBI court.